The designers of today may not have all taken to social media, but most of them are embracing it in their own ways. While Chanel isn’t busy building a major Twitter presence, the brand and its designer, Karl Lagerfeld, are busy thinking of coy ways to get everyone talking about their designs and shows. Runway pieces are not always meant to be wearable; rather, they are sometimes meant to make a statement. 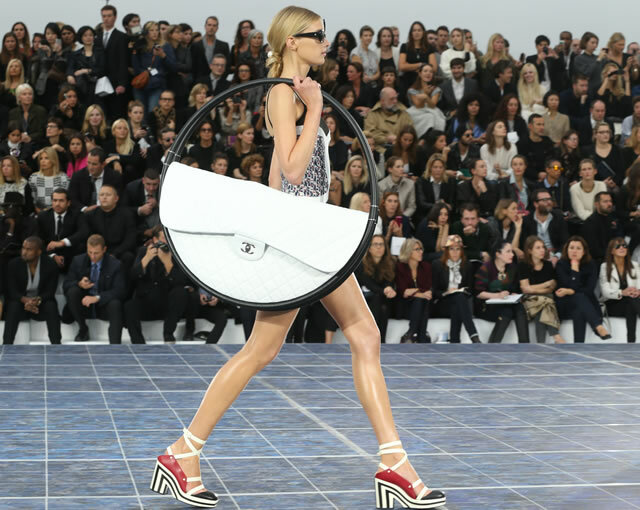 Today’s statement accessory came by way of Chanel, in what the Internet world is labeling the Chanel Hula Hoop Bag for Spring 2013. This might be the largest version of the quilted flap we’ve ever seen, in a rendition that is as intriguing as it is odd. As the model came down the runway, we were met with a double black hula hoop holding the wide white classic quilted leather body of this bag. We will have our entire Chanel review for you tomorrow, but today we want to share this and see what you think – so take a second to cast your vote in our poll! 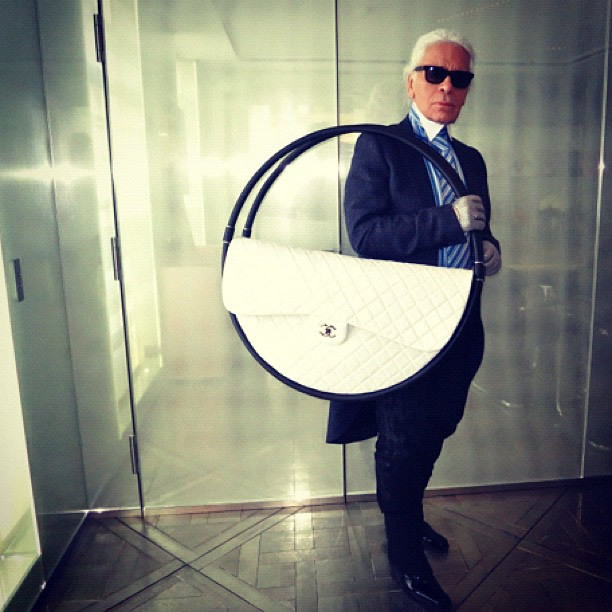 Taken by Derek Blasberg, this photo shows Karl Lagerfeld carrying his creation, the Chanel Hula Hoop Beach Bag.